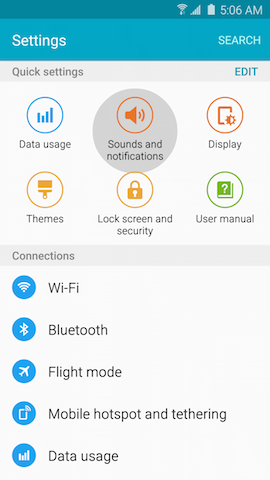 Galaxy S6: How do I change the lock screen notifications on my Samsung Galaxy S6? By default, any notifications you receive while your device is locked will display on your lock screen. 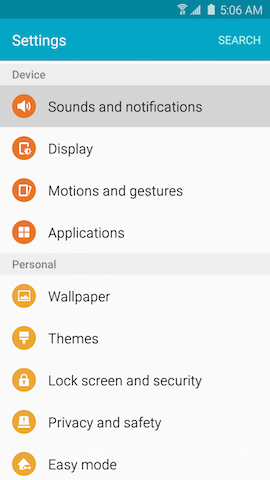 You can change the lock screen notification settings to not display this content. 3. Touch Sounds and notifications . 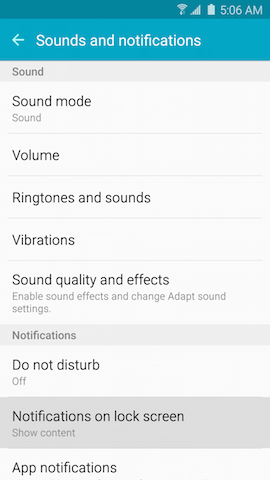 Note: It may be necessary to scroll down and touch Sounds and notifications under the Device tab. 4. Touch Notifications on lock screen. 5. Select Show content to display all notifications on your lock screen, or Do not show notifications to turn off lock screen notifications.